9 am – 5 pm each day at the Pavilion of Two Sisters! We will also make use of the Botanical Gardens. and empowerment through thought provoking talks and activities over a two-day period. Want to DISCOVER Your Highest Purpose? Would You like to IGNITE Your Personal Power?? Are You Ready to Begin to Truly HONOR Yourself in Your Thoughts, Your Time and Your Actions? Then, Join us for a Transformative Weekend in New Orleans as we Reclaim the Goddess Within! We are Featuring 10 Women Experts in the fields of Self-Empowerment, Mindfulness and Self-Realization. Experience Engaging, Inspirational speakers as they guide you to follow thought provoking exercises. With Life Coaches and Mindfulness Teachers, some whom have worked directly with Renowned Life Coach, Tony Robbins, Meditation Guru, Deepak Chopra and Don Miguel Ruiz, Author of the 4 Agreements and with over a combined 100 years of education, experience and work in their fields, you’re sure to leave with THOUSANDS of DOLLARS worth of knowledge and tools that will help boost you forward in your purpose and personal power! Topics will range from discovering your highest purpose and cultivating an inner stillness to igniting your own personal power. Expert meditation leaders will help you connect with your inner peace and self love through guided meditation, music and connection exercises. Coming from out of state? Are you in-state but want to make it a “Girlfriends Weekend”? 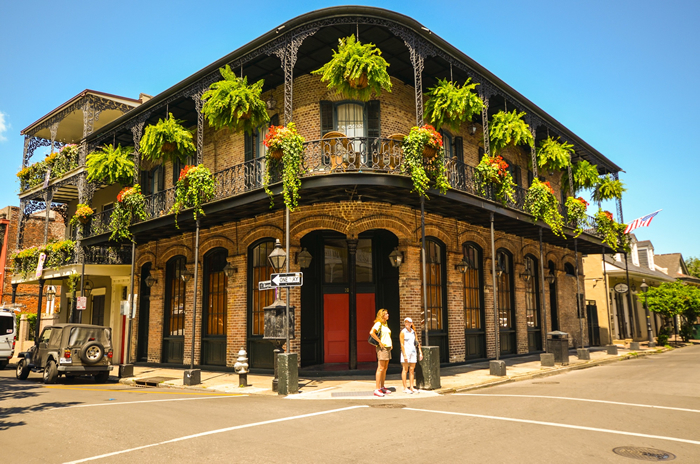 There are many great places to stay and eat while in New Orleans! There are no hotels in walking distance from this venue but tons of quaint, New Orleans styled homes and cottages in the vicinity. ~ Check out airbnb.com to find a room or apartment to rent while here. 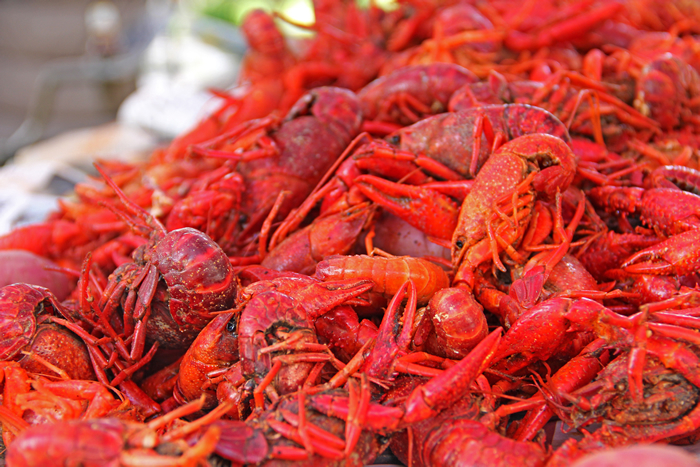 There are many amazing, delicious restaurants in Nola! 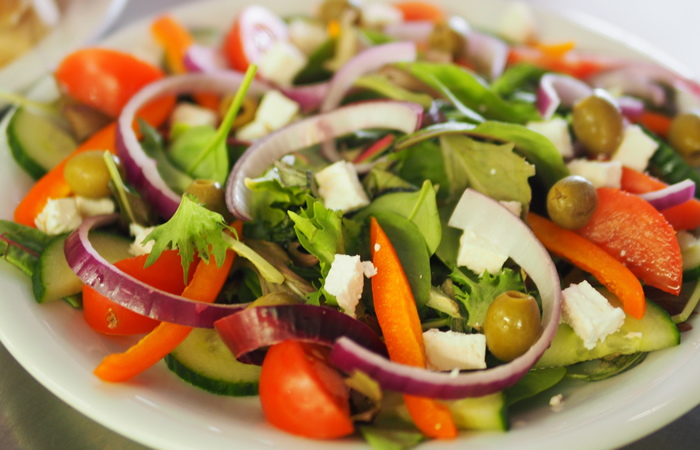 We’re also only 5 minutes driving distance to a handful of fast-food restaurants and grocery stores, feel free to take your 60-75 minute lunch at Rouses, Panera Bread, Winn Dixie, Subway and more. You can also purchase lunch in advance! Purchase lunch in advance for only $14 per day. Shortly after you purchase your ticket including boxed lunch, we will call you to confirm your choice of lunch. All boxed lunches are served with your choice of water, soda or iced tea; potato chips; chocolate chip cookies; condiments, plastic ware and napkins. Have questions? Feel free to email or call Stephanie. Come as early as 8:30 A.M. to find your seat. Doors open at 8:30 A.M. General Admission. Exact Schedule will be released two weeks prior. The first 50 ticket buyers will receive a FREE print of the event image. It will be signed by New Orleans Artist, Terrance D Osborne. This signed poster is valued at $100. * FREE Parking at City Park in front or around the venue. Stephanie Osborne opened The Sit Gift, LLC as a Corporate Guided Meditation business. Over 2017, Stephanie expanded this entity to also offer Weekly Guided Group Meditation sessions at Terrance Osborne Gallery and Women’s Empowerment and Mindful Events locally and internationally. 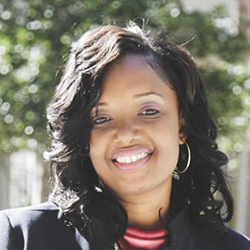 Stephanie’s is living her purpose by implementing her Mindfulness, Compassion and Gratitude Curriculum which is being used at schools, churches, work places and social groups throughout Louisiana. She also holds weekly guided meditation sessions at Terrance Osborne Gallery. Michelle Baker is the Founder and co-owner of Swan River Yoga, the director of the Swan River Yoga Teacher Training, member of the musical kirtan group Bhakti Caravan and a co-owner of Good Karma Prasad Cafe. She has been blessed with teaching yoga full time in New Orleans, the entire Gulf Region, NYC, the U.S. & internationally since 1998. Her primary certifications are with Jivamukti Yoga, Anusara Yoga & Sivananda as well as being a student of Ashtanga in Mysore, India. 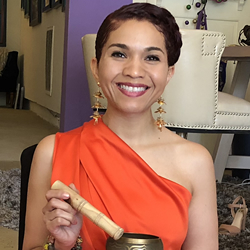 She is also a Reiki Level III Master and has a certification in Ayurvedic Thai Yoga Massage from Sudevi Kramer and from The Sunshine School in Thailand. She also takes numerous trips to India to learn the ecstatic in the form of mantra singing, harmonium & Sanskrit studies. Bhakti Yoga, the yoga of love and devotion and practiced by singing, dancing, ritual,art, serving & feeding others is her main path of passion. She is a member of the mantra group Bhakti Caravan with many Krishna Devotees, leading vocals, dance, crystal bowl concerts & gong. She offers lessons in mantra & harmonium. She share’s her teaching globally, beyond the U.S. to Mexico, Costa Rica, Panama, Peru, Thailand, India and Indonesia. 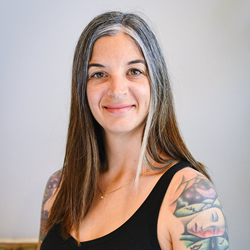 Michelle Baker is also the Director of the Reiki Program at Swan River, certified in Pranic Healing, and in Polarity Therapy, 5 Element Body Work and Yoga Nidra. 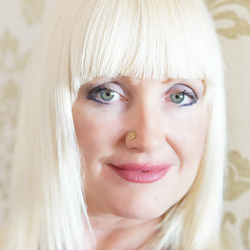 Havilah Malone inspires and equips leaders with the tools to unlock their inner intuitive genius & confidently unleash their gifts, as well as strategies to effectively communicate their value & become more influential. Havilah is the #1 Best Selling Author of, “How to Become a Publicity Magnet & co-Author of “The Amazing Adventures of Oliver Hill” based on Napoleon Hill’s Think & Grow Rich Success Principles. The Motivational Speaker, TV Personality & former Ms. Louisiana Universal is on a mission to be a catalyst for positive change in over 2 billion people’s lives. 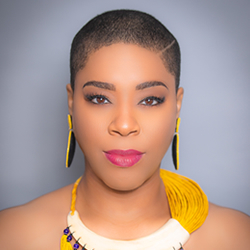 She has guest starred on NCIS: New Orleans and hosts the weekly inspirational video podcast “Havilah & Friends”. Ms. Malone is a recipient of the President’s Volunteer Service Award Gold Medal & the Women’s Prosperity Network “She Rocks Award”. Havilah’s nurturing spirit, inspirational voice and magnetizing personality inspire people to #BeProofOfWhatsPossible. The multi-talented millennial powerhouse has also been featured on FOX, NBC, ABC, CBS & more! 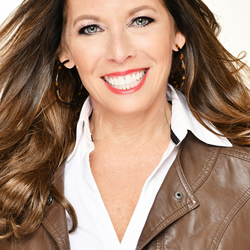 Lisa Lieberman-Wang is the #1 International Bestselling author of the book F.I.N.E. to FAB, a Success Strategist and Breakthrough Expert. She’s been seen by millions on TEDx, ABC, NBC, CBS, FOX, The CW, and others. She created the neuroscience Neuro Associative Programming (N.A.P.) for you to heal in a short period of time, avoiding years of shame, blame and therapy with a proven model to breakthrough whatever is weighing you down. Using this technology, she has helped herself and now thousands of women through her Transformational Programs overcome lifelong emotional challenges of depression, anxiety, stress, self-sabotage, emotional eating and sexual abuse so they can live an authentic life, happy, healthy and free! Lisa’s expertise reaches every aspect of your life personally and professionally. Women work with Lisa because she is a trusted guide. She has paved the path before you to run on. You too can go from feeling F.I.N.E. to being FAB! Misty Marshall was born on a stage…well, almost! Being born into a performing family, Misty’s childhood was spent in front of audiences and in dressing rooms. She attended the New Orleans Center for Creative Arts for high school and went on to study at The American Musical and Dramatic Academy in NY on scholarship. She then moved to Los Angeles when she was admitted into Salome Jens Actors Studio. Misty honed her fire eating/breathing/dancing/manipulation, stilt walking, and trapeze skills at N.O. School of Circus Arts and aerial silks at Bridge for Dance in NY. She was a Hollywood semi-finalist on American Idol Season 2 and has original music released through Sony Records. She was a movie reviewer/celebrity interviewer for WWL and also a weekly AI Entertainment reporter for WVUE. She studied screenwriting and business at Tulane and Advanced Screenwriting and Humanities at UNO and has had over a dozen of her original works produced. Misty helped rebuild the post-Katrina Jefferson Parish Recreation Dept as the Youth Performing Arts Director. 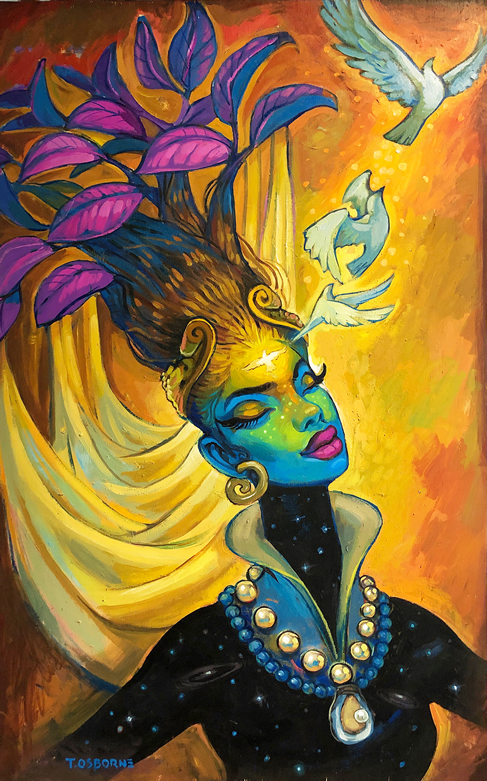 She also works within the school system to bring arts workshops with purpose into the class as well as with nonprofits to provide therapeutic arts workshops to those with special needs. She designs arts curricula with purpose by marrying storytelling techniques with modern psychology. 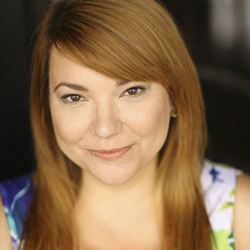 Misty is currently the Executive Director of Empowerment thru Arts LLC, a member of the Screen Actors Guild and American Federation of Television and Radio Artists (SAG-AFTRA), and she sits on the Louisiana Lt. Governor’s Music Commission Advisory Board. Marilyn Powell is a Speaker, Coach, Author and serial Entrepreneur who is dedicated to helping fellow and prospective entrepreneurs find and develop their purpose. Marilyn is the founder of Success InSight, a Mentoring and Coaching Organization and Exposure Tyme Language Immersion Program for children ages 6 months to 12 years. Marilyn is passionate about developing young minds and helping entrepreneurs succeed in their lives as well as their businesses. Marilyn’s work experience is diverse from being a small business sales consultant with AT&T to an entrepreneur and business owner. The happily married, mother of four teaches from experience and has written and published two books, Kids Can Be Successful Too and Creating Balance. She believes success is limitless and the principles should be introduced at an early age. Marilyn has an insatiable thirst for knowledge that she feeds by attending seminars regularly and reading and listening to audio-books daily. She is a New Orleans Native currently living in Jacksonville, Florida. Marilyn holds a Bachelors degree in Psychology from Columbia College. Paige Bradley-Pecoul, ERYT-500, is a yoga practitioner first, and a yoga teacher second. Her journey began in 1997 when she took her first class from Alvina Haaverkamp. Since then her mat has been her constant companion. She has completed 3 teacher trainings and in 2016 became a yoga teacher trainer herself. She currently leads ongoing classes, workshops and trainings at her hOMe studio of Yoga Krewe in Gretna, La. Paige believes that yoga is for everyone and finds endless joy in bringing the practice to a variety of practitioners with diverse needs. Her classes are infused with yoga philosophy, and are at the same time challenging and accessible. Tickets are only $100 for the entire TWO-Day event!